THE LIFTING OF THE VEIL (KASHF) is Pakistan's first English Language film in 30 years. It explores one man's journey back to Pakistan to look for his Sufi Master. Unlike the current depiction of extremism in Pakistan - the film highlights the mystical side of Islam within the tradition of Sufism. 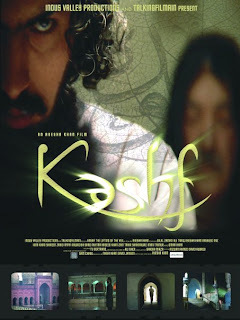 We are very excited to be screening in Santa Fe - for more info on the film please go to www.kashfthemovie.com or you can find us on facebook at INDUS VALLEY PRODUCTIONS where we have posted all the press and interviews on the film. Looking forward to meeting everyone at the festival!